Because construction on Biscayne Boulevard spanned the period from the 1920s through the 1950s, architectural styles reflect the trends that were popular and prevalent in Miami during each of those decades. While the majority of the buildings within the Biscayne Boulevard Historic District date from after the real estate boom of the mid-twenties, the use of Mediterranean Revival style continues even into the 1930s. The Art Deco style the supplanted the Mediterranean Revival as the favored means of architectural expression into the 1940s. The “Modern Period,” generally considered to date from after World War II and into the 1950s, reflects a departure from historicist references towards a truly novel aesthetic. 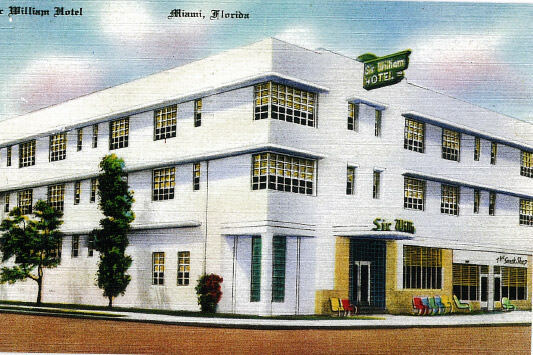 The Biscayne Boulevard Historic District includes some unique modern commercial buildings, as well as the largest collection of “Miami Modern” motels in Miami. The Mediterranean Revival style of architecture was the predominant stylistic choice for the region during the Florida Land Boom of the 1920s. The style is an eclectic derivation that relied on the inspiration of Spanish, Italian and Moorish architecture. This type of design, which in California during the previous decade was called “Spanish Colonial,” was perfectly suited to the climate of South Florida. Perhaps more importantly, it created a theme and romantic identity for South Florida’s newly created suburbs. Plan shapes often created a courtyard and arcades, loggias and porches provided easy access to the outdoors. The Biscayne Boulevard Historic District includes both residential and commercial examples including the residences at 5859 Biscayne Boulevard, constructed in 1924 and the commercial buildings at 7120 Biscayne Boulevard, 7235 Biscayne Boulevard. 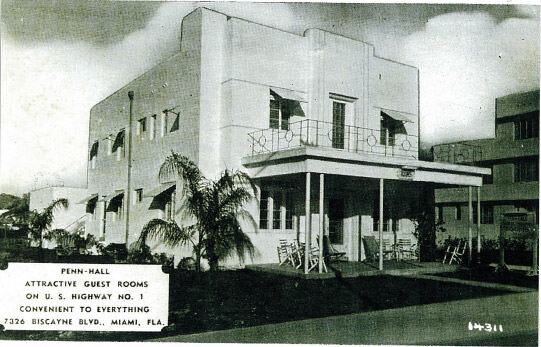 Many of the buildings along Biscayne Boulevard were constructed during the mid 1930s into the mid 1940s. The preeminent choice of architectural style during that period was Art Deco. Art Deco is considered one of the first of the modern styles, as it is a deliberate move away from the historicist styles, to a new expression that sought to ceomplement the machine age. Designs for Art Deco buildings were often stark. Ornamentation was concentrated at the parapet, and the shapes of the windows, scored lines, and curving wing walls emphasized the building’s geometry. Excellent examples of this style are found at 7222 and 7240 Biscayne Boulevard. 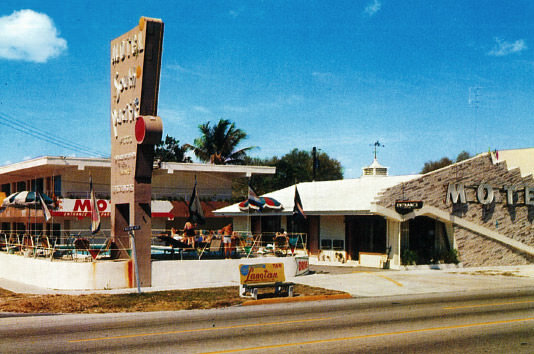 MiMo or Miami Modern is the name coined by Randall Robinson and Teri D’Amico to describe the architecture that flourished in South Florida from 1945 until the late 1960s. MiMo is not a single style, but rather a confluence that includes the world-renowned Resort glamour of Morris Lapidus, the sublime Subtropical Modernism of Igor B. Polevitzky, and the flamboyant Latin infusion of Enrique Gutierrez, the architect of one of the Southland’s Modernist masterpiece, the Bacardi USA building. The common denominator is a time — the heady decades after the war — and a place — the subtropical environs of South Florida. Miami Modern is further classified into two distinct strains, Resort MiMo and Subtropical Modernism. 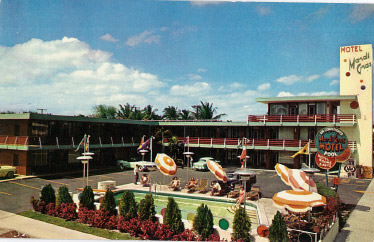 The visual “lineage” for both the resort and subtropical versions of Miami Modern can be traced to Miami’s emerging modern movement beginning in the 1930s. Local architects adapted elements of the International, 19 Streamline Moderne and Art Deco styles in their versions of contemporary buildings. Resort MiMo of the 1950s is a product of the experimentations. best represented by the vivid scenographic expressions of Miami Beach architects. 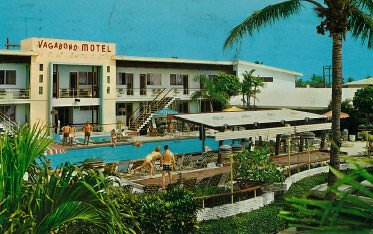 Resort MiMo is associated with the 1950s and 1960s and the influences of Hollywood set design, automobile styling, military jets and the space race. The American fascination with Futurism was a pervasive influence in the designs of Resort MiMo. It was realized in architectural form by acute angles, boomerangs and trapezoidal forms. Subtropical Modernism was a strain of the modern movement that recognized the needs of a year-round population rather than solely the demands of the winter-resort guests. As a result, designers addressed the humidity and heat of summer by making accomodations for breezy corridors, covered galleries and shady courtyards. Subtropical Modernism also employed elements associated with the International Style of architecture that included glass walls and low-slung lines, flat roofs and wide eaves and free-flowing interior spaces. 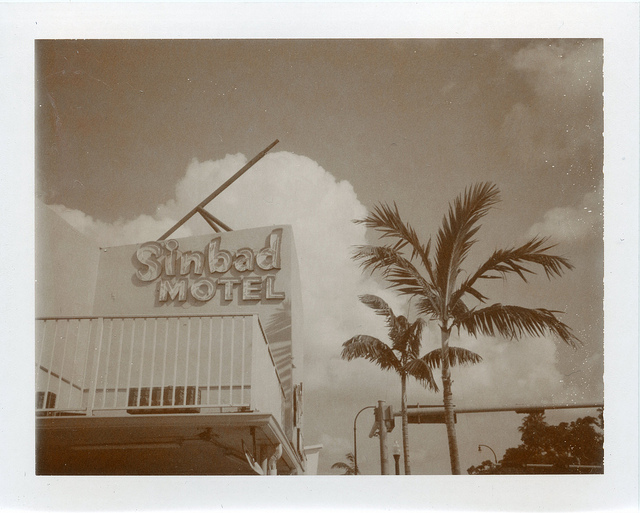 Many of the motels along Biscayne Boulevard are impressive examples of Resort Miami Modernism.